Amazon, Yahoo and Google, three of the biggest web based companies reported their Q4 2013 earnings report this week. Yahoo and Amazon failed to cheer up the Wall Street; despite increased revenues, their profit per share dropped in this quarter. Only Google was able to meet market expectations and deliver stunning results. Amazon generated revenues of $25.5 billion in 2013’s last quarter, but net profit of just $239 million. The revenue generated is 20% more than that of last year in the same period. 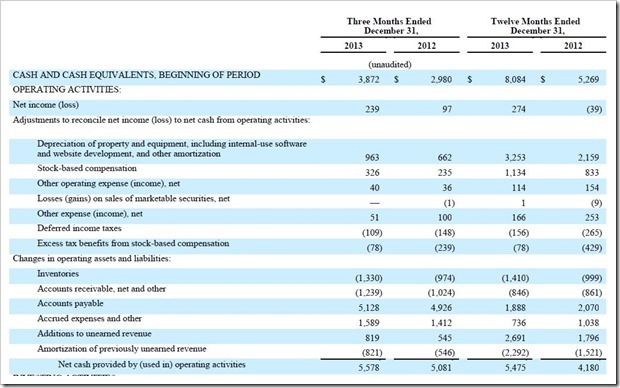 Revenues per share was 52 cents. But the Wall Street was expecting much more than that. As soon as Amazon shared the results, their share prices dropped 8% as the investors were expecting much more fireworks. 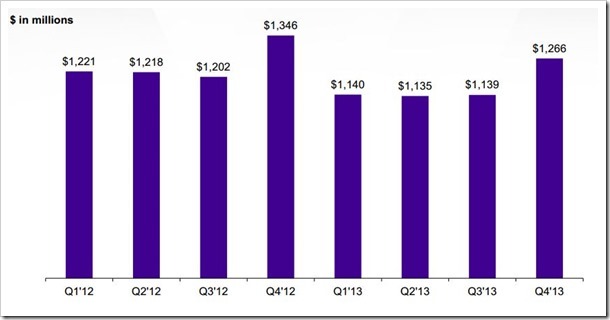 Yahoo too had a bad last quarter of 2013. They generated revenues of $1.2 billion in Q4, which produced 46 cents of profit per share which is an increase of 31% compared to last year. Display ad sales fell 6% for the quarter, whereas 3% more ads were sold all over the world, except South Korea. Price per Ad also fell 7% in this quarter. Price per click dropped 3%, compared to last year while number of clicks increased 17%. Price per click was down as Yahoo is now serving more ads on mobile and tablets, compared to desktops and PCs. Yahoo has increased it’s traffic, and this is the single biggest achievement of the company. Google was the only company among these three, which cheered the investors with its awesome financial results. In the last quarter of 2013, Google generated revenues of $16.86 billion which is 17% more than last year, out of which they had a neat and tidy $3.92 billion operating income which is 23% more than the last year’s results. Net income was clocked at $3.38 billion, up from $2.89 billion last year, for the same period. Google owned site revenue has increased to $10.55 billion, which is 67% of the total revenues and 22% more than last year. Motorola, which is now sold to Lenovo, caused a loss of $384 million, which is very high compared to $152 million loss incurred in the Q3 of 2013. 15 #Search Codes To Remember, When Internet Doesn’t Work! Bharti Airtel Net Profit slips by 41% – but Outlook positive!